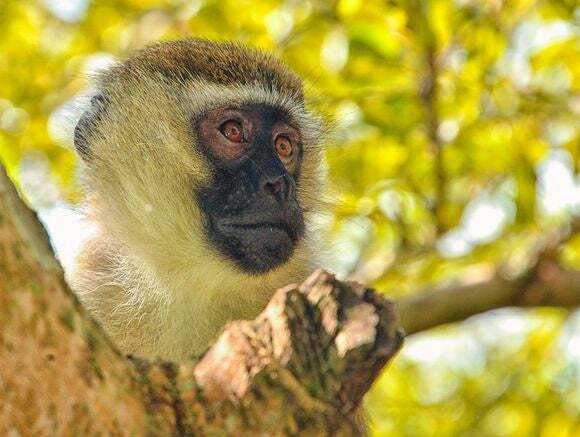 That’s just one of many changes inside Vivid Vervet, however. The latest release of Ubuntu also features re­-revamped menus, some important desktop improvements, a new version of LibreOffice, and features for developers, servers, and phones. Also worth noting is a change that isn’t included: Ubuntu 15.04 still contains the Unity 7 desktop environment. The converged version of Unity 8—which will connect Ubuntu’s mobile and desktop interfaces, switching between them dynamically when needed—scheduled for a future release. 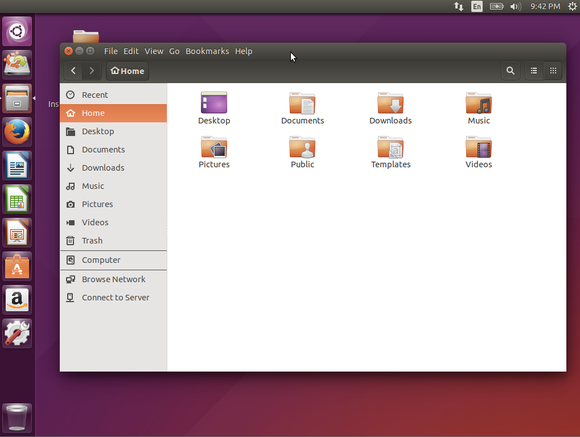 Ubuntu 15.04's locally integrated menus. Despite the awkward name, this feature is easy to understand. 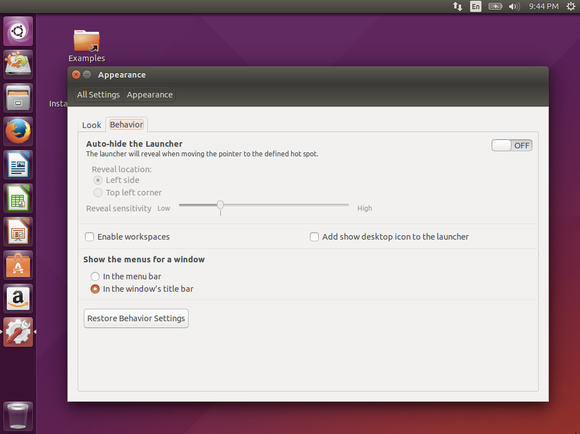 Long ago, Ubuntu moved the in-application menus out of each application window and to the top of the screen, on the desktop-wide menu bar. Now, for usability, these menus have been moved back inside each application’s individual window. They appear in the application’s title bar, and you’ll have to hover your mouse over the left side of a window’s title bar to see them. This does seem a bit silly, like change for the sake of change; the menus were moved up and then back down again, except they ended up in the window’s title bar this time. But hey, it’s a bit of an improvement. This arrangement does make those menus take up less screen space. Making the desktop aware of these menus also powers Unity’s HUD. Tap the Alt key and start typing to search the current application's menus for an option and quickly activate it, all from your keyboard. Tinkering with Ubuntu 15.04's menu options. If you prefer the old system, you can open the System Settings window, click Appearance, select the Behavior tab, and choose the “In the menu bar” option under “Show the menus for a window.” There’s also an option to always show the new menus rather than having them auto-hide inside application title bars, but it’s buried deep. You’ll have to install the Dconf Editor application, launch it, navigate to com > canonical > unity, and enable the "always show menus" option. Ubuntu 15.04 uses systemd instead of Ubuntu’s own Upstart system. This is an under-the-hood issue more than anything else, and systemd has been tested extensively. You shouldn't even notice the change as a typical user—even though the inclusion of systemd in Debian was divisive enough to spark a new “Devuan” fork stripped of the project’s code. But consult Ubuntu’s “systemd for Upstart users” guide if you’re a system administrator or someone who’s created your own Upstart jobs. 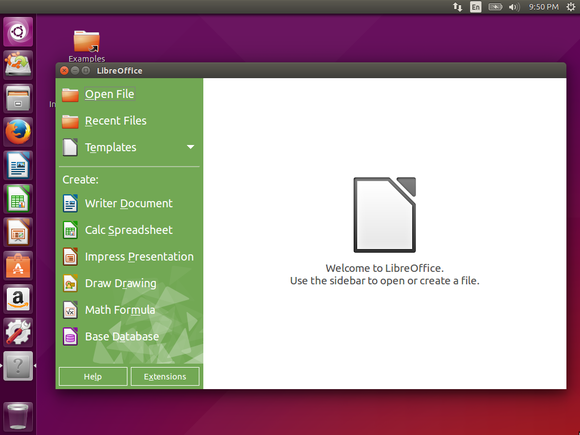 LibreOffice 4.4 in Ubuntu 15.04. 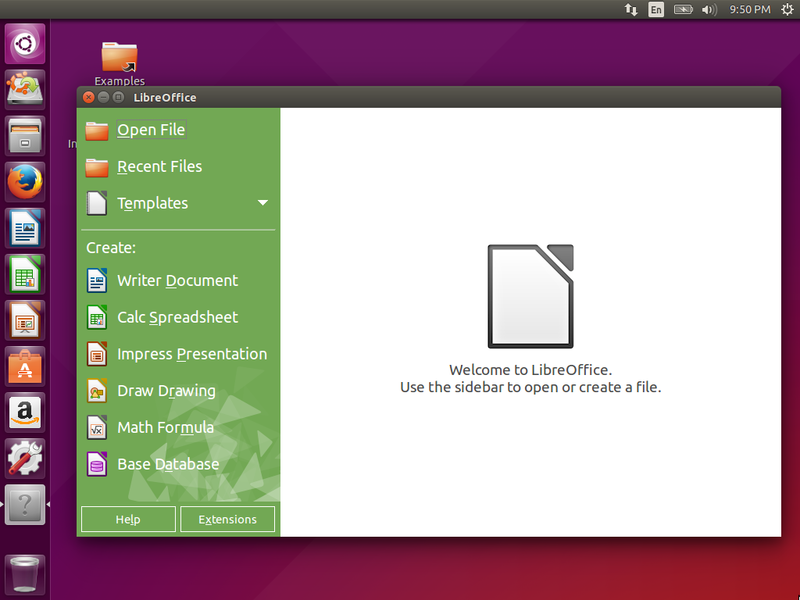 This release also includes LibreOffice 4.4, which has seen a lot of user-interface love and tweaks. LibreOffice 4.4 offers a far more streamlined interface than its predecessors. Canonical’s official announcement also notes that Ubuntu 15.04 forms the base for the software running on the currently available BQ Aquarius E4.5 “and in due course on the Meizu MX4.” Ubuntu 15.04 software will be delivered to those BQ Aquarius phones in the next few weeks. Canonical is clearly focusing on developers and cloud servers with Vivid Vervet, just as the Fedora project did with its Fedora.next initiative. Its Ubuntu 15.04 announcement touts just how Ubuntu is beloved by developers and available on laptops like the Dell XPS 13 Developer Edition and M3800 Developer Edition. Vervet sees the Ubuntu Developer Tools Centre becoming “Ubuntu Make.” It’s a system for easily installing isolated development environments—like the Android NDK and SDK, Firefox Developer Edition, and many other platforms—with a single command. Like Fedora’s Developer Assistant, it’s designed to help developers get up and running quickly and easily. Ubuntu 15.04's 'Snappy Ubuntu Core' is built for Internet of Things devices (like the Raspberry Pi) and cloud deployments. 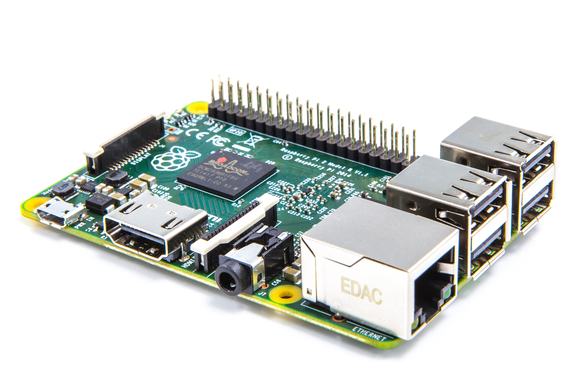 Ubuntu 15.04 also brings the Snappy Ubuntu Core, a small-and-secure build of Ubuntu optimized for Internet of Things devices and cloud images. But little of that matters to everyday Linux users. If you’re on the desktop version of Ubuntu, feel free to stick with the current long-term support release of the operating system if the new applications menus and other tweaks fail to tickle your fancy. That’s what LTS releases are for, after all.